Today I thought that I would share a few of the Paper Pumpkin projects from the past couple of months. 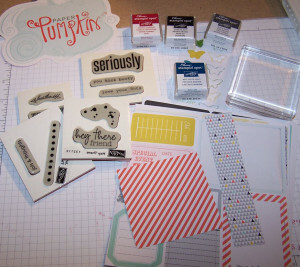 Paper pumpkin is Stampin’ Up!’s new monthly card kits that come directly to your door! 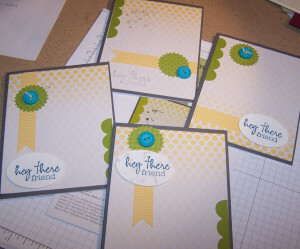 Have you wanted to try stamping but just don’t have time to come to a class? Then Paper Pumpkin is for you! If you are one of my experienced stampin’ friends, then Paper Pumpkin probably is not for you but you may know someone who wants to try it out! All of the supplies are included. It takes about 30 minutes to make the project each month. 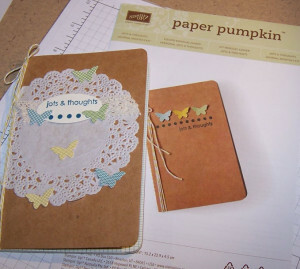 And Paper Pumpkin is on sale until August 31st! Sign up for Paper Pumpkin by Aug. 31st and receive the first two months for $10 each month. You can signup for Paper Pumpkin here. After 4 months of Paper Pumpkin, these are the supplies that I have left. Each kit includes an ink spot and a couple of stamps, precut card stock and embellishments that you need for that month’s project. 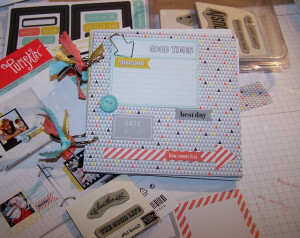 A perfect way for a new stampers to build up some supplies without have to have everything to get started! Here are a couple of the projects from the past few months! This is the Jots & Thoughts notebook which you receive as a thank you gift when you signup. You also receive an acrylic block which you will use for future projects. This was the project for March. 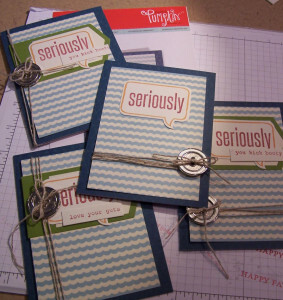 4 cards with envelopes with all of the supplies. As you can see, I changed the samples around a little and made them my own by moving elements around. This set of Seriously cards was the project for April. I love these cards! Again – I changed the placement of the embellishments around a bit to make each card a little different. The project for May was this very cute little journal. 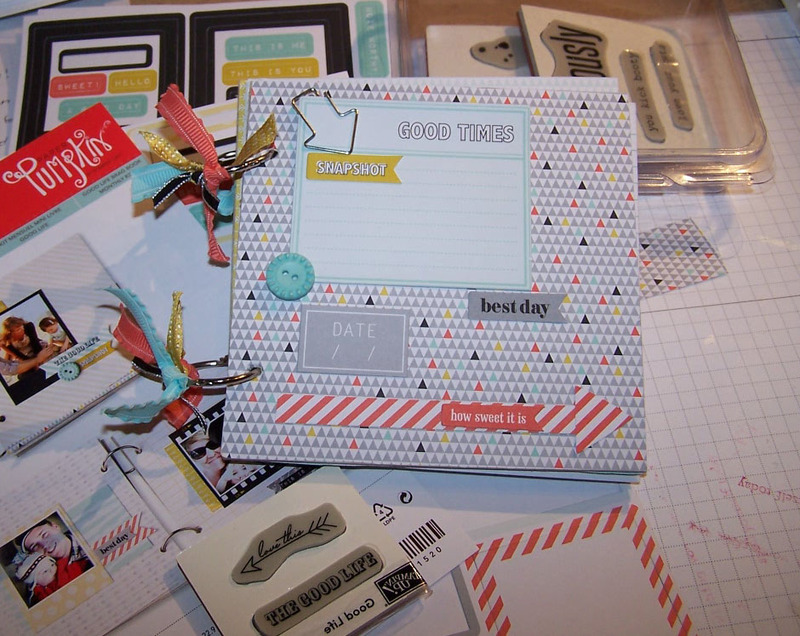 There were more than enough supplies to put the journal together and add embellishments. These projects are more basic and probably not for the experienced stamper. But you may know someone that might be interested? Forward this onto them! Ready to sign up?? Just visit the site here and sign up today!! paper pumpkin, Stampin' Up!. Bookmark.